I have three new poems with Empty Mirror. Published out of Washington State, the magazine has a heavy focus on the beats, but includes many types of literature, film, music, and art. Since I have been visiting there seems to have been a heavy focus on collage, which I have found interesting and led me to new artists who have provided influences on my writing. Particularly Hiromi Suzuki, whose work has inspired a poem forthcoming with M58 as well as others still in development. Check out the work of mine published by Empty Mirror and investigate some of the other artists found there. 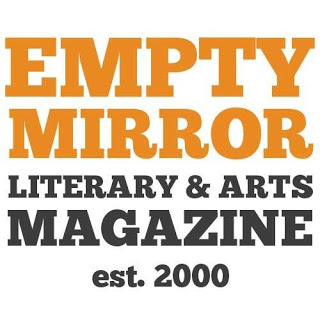 Thanks to Empty Mirror for publishing the poems.